The deputy of the mass of the national approach Hussein al-Aqabi, on Wednesday, the extension of the threat of corruption whales to the budget of 2019 through the portal of non-oil revenues. In a press conference held in the House of Representatives, Al-Eqtisadiya said that "the state budget for 2019 included several points that raise doubts and question marks and require attention and treatment." 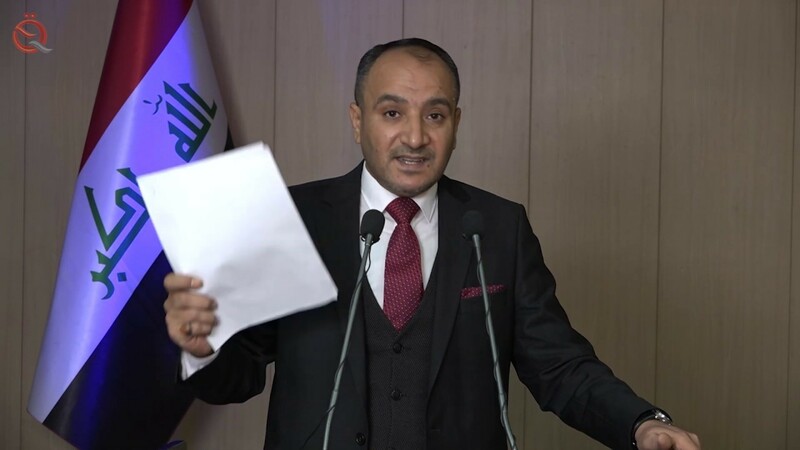 He pointed out that the first point is "to reach the volume of non-oil revenues of about 12 trillion dinars only, which is not accurate and very far from the size of real revenues of the state, which means the existence of whales corrupting the capacity of the state," and called on the "regulatory bodies to tighten the procedures of auditing and control of those Revenue because it belongs to the people and the poor. " He added that "the rounds of licenses for telecommunications contracts and revenues are subject to a lot of ambiguity and lack of transparency, and is not commensurate with the actual reality and the minimum international standards for the quality of communication services and their ability, especially with some companies provide poor services to citizens, so we call to review these contracts and the formation of technical committees fair And transparent to study and rephrase in order to ensure the wealth of the people and preserve its capabilities. He called for the adoption of a national vision to reject the encroachment of Iraq on foreign loan restrictions and resort to alternative solutions to fill the budget deficit, such as relying on the mechanism of voluntary saving and investment of funds provided to citizens instead of dependence on the will of the World Bank and its unjust conditions. He pointed out that "the need to overcome the stereotyping in the way of budget preparation because it does not meet the ambition in its current form and does not contribute to addressing the suffocating crises suffered by the people, as it is assumed that the budget budget programs and priorities, and we believe that the priority sectors of education, health and investment to promote them and provide opportunities To reduce unemployment rates. "